Local historian Patrick Ellis has just published another book on the history of Great Gidding. 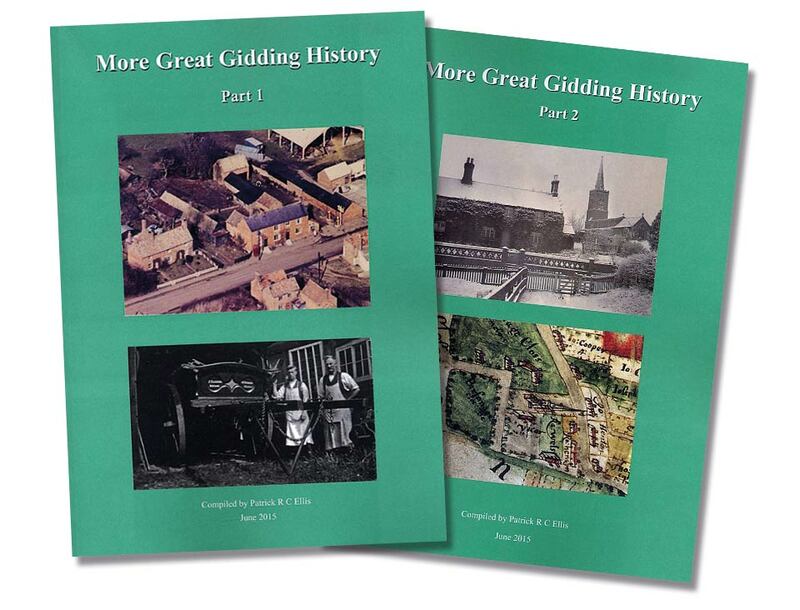 The A4 book – ‘More Great Gidding History’ – is printed in two parts and is completely new information that has been discovered since the publication of the first Great Gidding History book in 2001 (recently re-printed). Whereas the original book was mostly about the village and how it operated this new book is mostly about the people and where they lived. Part 1 contains 100 pages discussing new discoveries from research during the past 15 years and histories of some of the principal properties and families in the village. Who’s lived in YOUR house since the 1600’s? Part 2 with 110 pages is more of a reference book and contains maps, aerial photos and detailed descriptions of some 60 properties and their occupiers from 1640 onwards plus indexes totalling some 400 different family names. The book is supported by The Earl Fitzwilliam Charitable Trust and its formal launch will be at an evening event at 7.15 pm on Wednesday September 30th in Great Gidding Village Hall. The main speaker will be Mr Robert Dalgliesh – Chief Agent to the Fitzwilliam Estate. The title of his talk will be “Milton Estate – past and present”. The new book will then be introduced by its author Patrick Ellis and wine, cordials and light refreshment will be provided for purchase in the Village Hall. For those who were unable to visit the History Day last October, there will be a small display of some of the historical photos he has gathered over the years.